Bludgers, Quaffles, Snitches, Oh my! Learn the rules of Quidditch! How WWN Can Cover Your RPG's Quidditch Games! "It's our sport. Wizard sport. 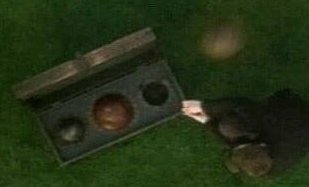 It's like - like football in the Muggle world - everyone follows Quidditch - played up in the air on broomsticks and there's four balls - sorta hard ter explain the rules." Like Hagrid said, Quidditch is THE wizard sport, and all the more reason for it to be followed on THE Wizard Wireless Network! WNN takes part in various Quidditch and Magic School RPGs in order to being you the latest scores and news. You can even hear live-commentating on-air! Now you can listen to games being played all over the web!